The Surge: The Good, The Bad, and The Augmented officially moseys into town today. 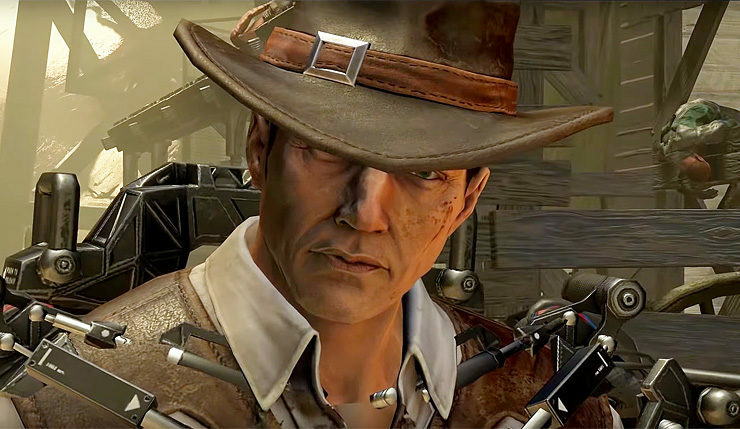 The DLC gives The Surge a rather unexpected Wild West makeover, complete with cowboy hats, dusty saloons, and abandoned mines. Of course, The Surge’s challenging Dark-Souls-inspired combat also returns. You can check out a launch trailer for The Good, The Bad, and The Augmented, below. In The Good, The Bad, and The Augmented, Warren enters the bowels of the CREO facility and explore an old and abandoned Quality Assurance lab created to push CREO’s tech to the limit. Warren will face Dr. Rischboter’s deadly test chambers that, for some reason, feel torn straight out of a twisted Wild West TV show! Cowboys, American Indians and Mexican bandits populate this atypical scenery – but whether they are accomplices of the mad doctor, or unfortunate victims of his madness, none has been spared by the Surge, and all will fight to the death. There’s a new Sheriff in town…and he’s got his hands full. In addition to this DLC, developer Deck13 Interactive is also working on The Surge 2 – I got the opportunity to interview the game’s director Jan Klose back at E3 2018. The Surge: The Good, The Bad, and The Augmented is available on PC, Xbox One, and PS4 right now. The Surge 2 is slated to arrive sometime in 2019.